Posted by A Sceptical Medium … I have been working really hard for some time now and have to take time off from spiritual work now and then to focus on other things that are of this world rather than just the spirit world. Bob Olson, Afterlife TV www.afterlifetv.com John Holland is a psychic medium, spiritual teacher and author of Born Knowing, Power Of The Soul, Psychic Navigator, The Spirit Whisperer, 101 Ways To Jump Start Your Intuition. Melissa Leath shares her passion of communication with the spirit world, and the proper ways to access it. Find out the history and reverence involved in this age-old practice. I think I have found the most interesting, supernatural television program in quite awhile. 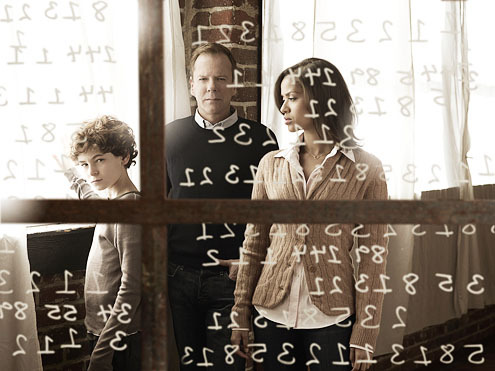 Touch, a new Fox series, starring Keifer Sutherland and David Mazouz, is about numbers. No, not really about numbers, but that is the vehicle used to bring us “open-minded” folks an opportunity to see into the possibility of miracles from unexplained places. The story starts with Martin Bohm, played by Sutherland, as a widower (whose wife died in the World Trade Center) and once an up-and-coming journalist. 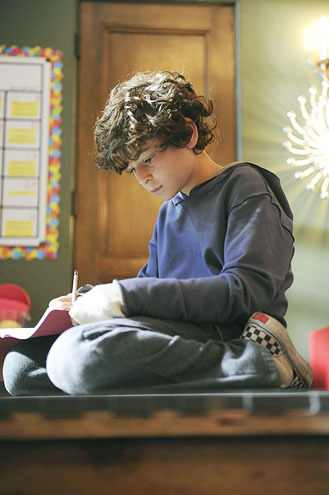 But had to take less meaningful jobs just to be available to tend to his special-needs son, Jake, (Mazouz) who is eleven years old. Jake choses not to speak, and incessantly keeps track of a series of numbers. Jake appears to be totally attuned to Universal wisdom and connects people, places and things with the wizardry of numbers. He uses what is called Fibonacci cubes used for interconnecting parallel and distributed systems. They also appear in nature, represented by the spiral (branching in trees, the way leaves are arranged on a twig, an uncurling fern and the arrangement of a pinecones). Jake is very intense (like so many of our younger children these days). The series, created by Tim Kring, launched with a global media event on March 18 — a date that figures prominently in Touch‘s opening episode. Watching the preview episode took a few minutes to keep track of all that was happening. Jake was obsessing over the number 318, and soon 3-1-8 shows up everywhere — on clocks, winning lottery tickets, significant street addresses. Guest star Danny Glover is a shut-in professor and explains Jake’s role as a highly evolved human. With his numbers, Jake touches the lives of an Irish songstress, a British couple grieving for their dead daughter, an earnest kid in Baghdad. All those moving parts come together in a miraculous way, with his dad following through with all the leads. Creator Kring has a clear-cut plan for the world. “If we consider the ripple effect our lives have, it makes an impact on how we treat people, and that makes the world a better place,” says Kring. I hope this show will reach the hearts of many people this season. We need these inspiring stories to show us that miracles do happen on a daily basis, and we are all entwined with each other evolving those miracles. Hope is on Fox this season!